Connect is a Learning Platform for Higher Education. The Manual Grading Flows were a major workflow overhaul that built off of the existing manual grading workflow to provide a faster and more robust grading experience for instructors. Manual Grading flow. This flow can be entered from the existing grading experience. 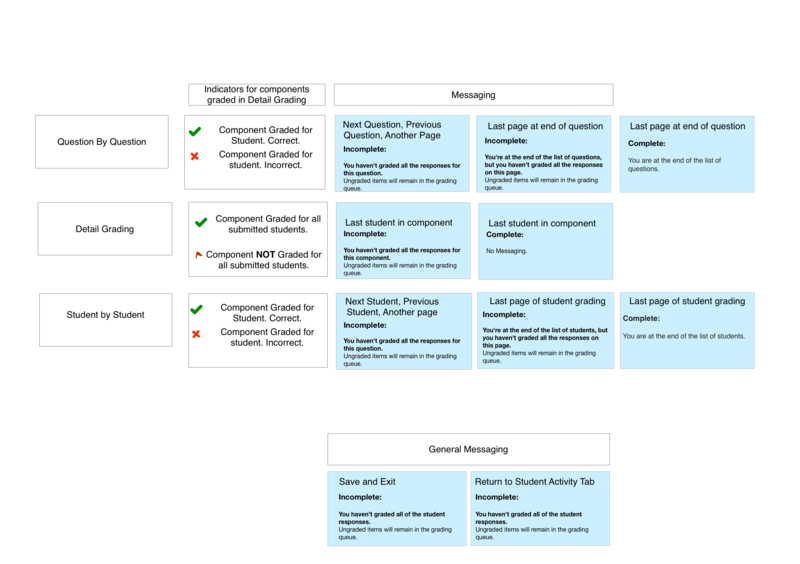 I created a system flow for a new feature that would allow instructors to have a new mode of grading their student’s coursework. 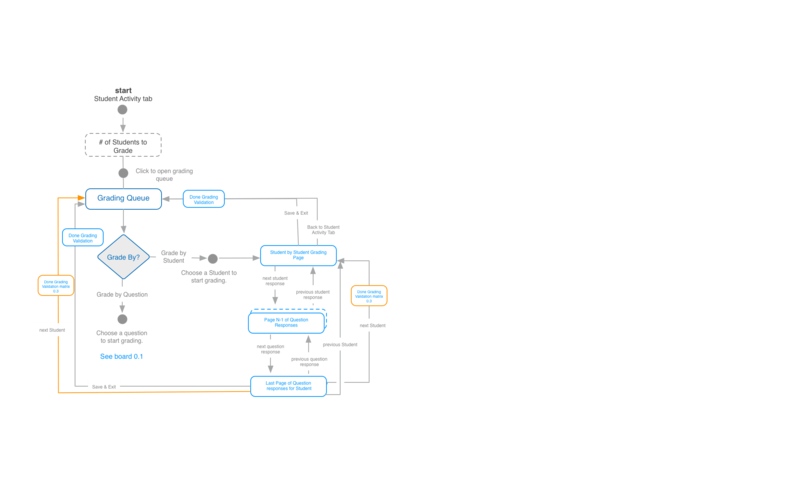 This flow integrated current grading flows that were only navigable by each student’s submission or by question submitted. The Detailed Grading flow allows instructors to quickly grade specific elements of multi-part assignments and assess student’s progression on key concepts. 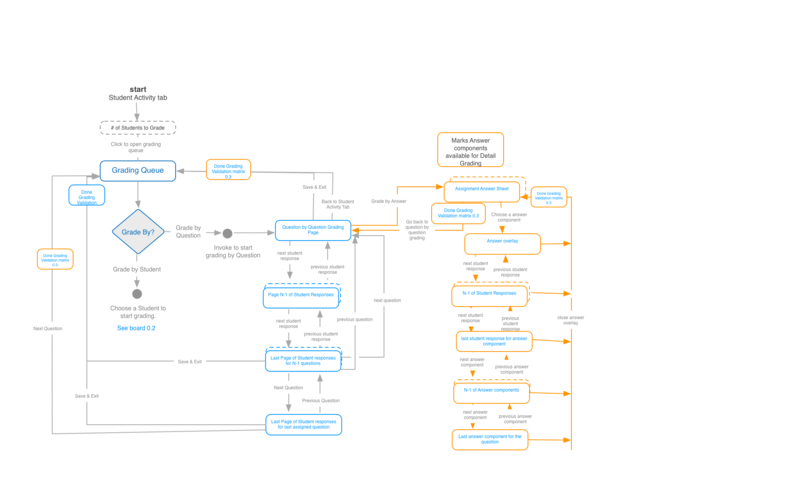 The flow in orange is the new functionality and shows the integration points with the current workflow. The Done Grading Matrix outlines the varying messages shown to the instructor, depending on the type of grading they are doing and whether they have completed grading or not. I sped up the method of grading by adding a feature for instructors to grade the entire class on a single question. 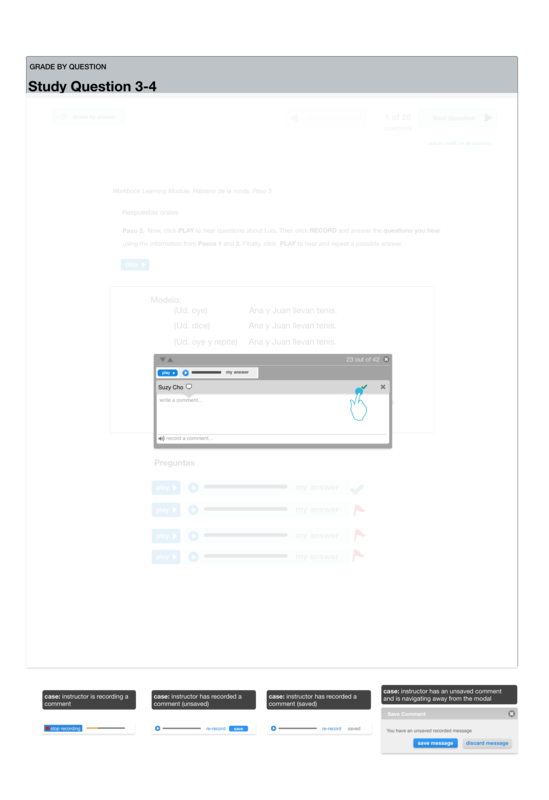 Instructors can now leave audio and inline text comments. 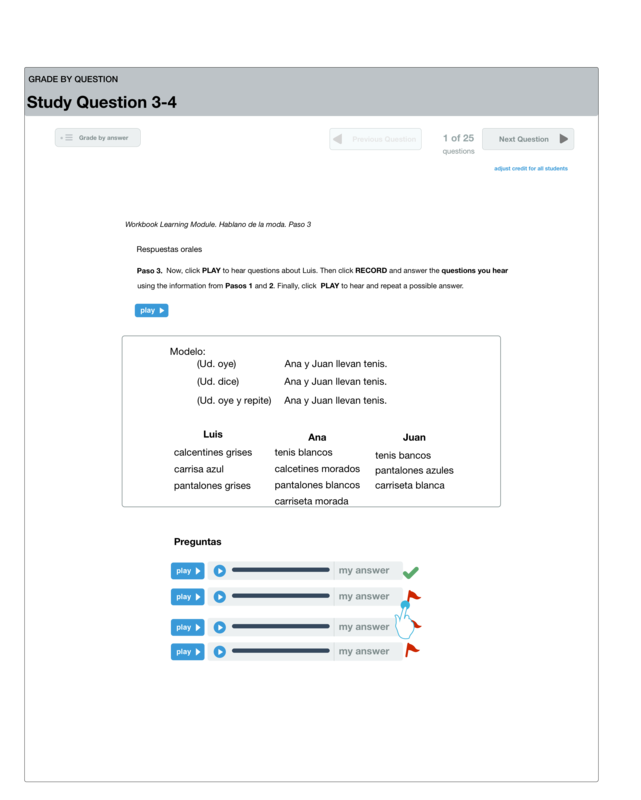 Instructors can select a question to start grading and track their completion. Instructors can “drill down” on a response for all of the students in the class. 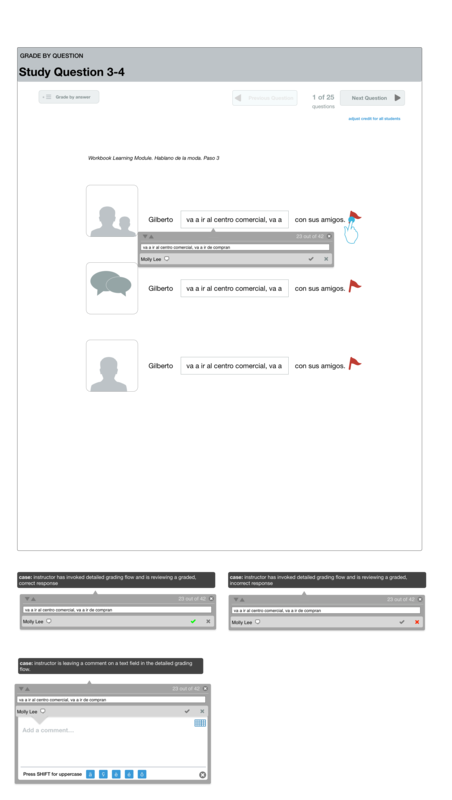 For Flash-based assignments, a overlay and modal is used so that instructors can rapidly grade content and leave comments.